A few minutes after escaping from da Vinci, it was back into another room – this time taking on Area 51 for our middle game at Escape London. 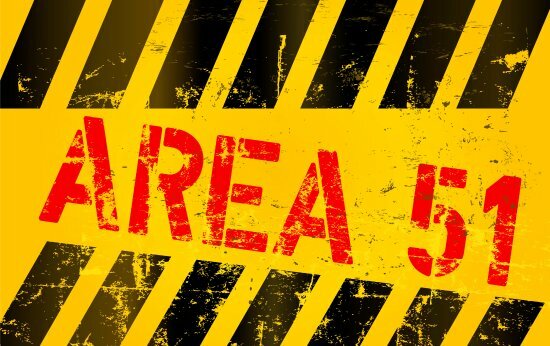 Area 51 – Roswell is a highly debated subject. Imagine something similar on your doorstep…. rumour has it that in London there was an incident and hidden away in a basement there is evidence to prove it. No one knew what it contained but we were about to find out as we’d stumbled across it. Would we have what it takes to determine if it’s a conspiracy or the real thing? As soon as I walked through the door, I was impressed with the decor. It certainly felt like they’d gone to significantly more trouble than in da Vinci. At least, that was, in the highlights – elsewhere it felt pretty bare. Having said that, bare isn’t necessarily off theme – we’re talking a government research facility, so you wouldn’t expect it to be the most exciting place in the world. I was playing with a different team this time round (we switched for each game) but we were quickly into stride and solving the puzzles. Again, they were pretty varied, but this time they were much better embedded into the rooms and a couple of puzzles were fairly novel. Yes, the puzzles were varied, and variety is the spice of life, but the downside of variety is that, if there’s a particular genre of puzzles that happens to fill your heart with dread, you’re at a greater risk of coming across an instance of it and, as luck would have it, this was one of those rooms. Fortunately for me, my new team mates were two of the people that excel at that type of puzzle. Ka-ching! Except this was probably one of the very worst instances I’ve ever seen. I don’t want to give away the details but, in my opinion, it was fundamentally flawed. Of the three teams who played, two took clues to get past it and one just brute-forced their way past the “problem” part. I can forgive weaknesses in some puzzles but, given the generally contentious nature of this genre of puzzles (it’s of a similar ilk to Magic Eye puzzles), they need to nail the implementation, and they hadn’t. As in the previous room, they responded immediately when we asked for a clue, but this time we paid the price for the lack of audio. We felt sure we’d solved one of the puzzles and yet couldn’t find a place to use the combination. We were pretty certain which lock it should open but there were several others of the same type, so we went through them all several times to no avail. Eventually we waved at the camera to ask for help. Except, of course, they wanted to help us solve the puzzle. No – we knew *how* to solve the puzzle, it’s just the answer wasn’t working. We mimed the problem and eventually they put up the correct code on the screen, to which we nodded vigorously. At that point, inevitably, they had to enter the room to investigate the problem. We had indeed solved the puzzle. Annoying, but such things happen sometimes. Except, as we would later find out, the first team had encountered the exact same problem and, when the GM had fixed it, it had been obvious that he knew exactly what had gone wrong, which suggests that this isn’t a rare issue. A broken lock is a really, really frustrating thing in an escape room and can’t just be something you accept – you need to get it fixed or give very, very clear instructions to the players on how to avoid it. To say I was disappointed is an understatement. We escaped after 32:20 having taken a single clue (full disclosure – two of the three teams needed a clue on the same puzzle but one managed to brute-force their way past it). I think this would have been my favourite room of the day if it hadn’t been for the two major problems – indeed, maybe it still was. Interestingly, I think both issues had the same root cause: an unwillingness to fix problems within the game. For all that the overall experiences we had were reasonably polished, that leaves me very nervous that they’ll hit problems in the future – if something starts to become unreliable, will they fix it up? Although my reviews are inevitably written based on my own experiences, I’m increasingly thinking about how that experience might change over time. This location worries me more than most. If you’re the sort of person who gets easily frustrated, then give this a wide berth. If not, then, while I wouldn’t encourage you to head along, I think you’ll have a fun time if you do. My advice: If you’re positive you’ve got the right code for something but it’s not working, then it’s probably worth asking for a clue sooner than later and, if you’re doing a puzzle and it seems like there’s something just plain wrong, then the same advice is probably true. For the rest of the game, I think you’ll have a decent amount of fun in what is a solidly themed game. I’m not sure if it was the same lock problem, but it was not reset properly when I played that room, so it looked like we had gotten the correct answer from a wrong combination.